My life has been crazy lately. It’s been fantastic and exciting, but crazy. I am anxious to share the stories, thoughts and emotions that Bethany and I have experienced over the past few months, and I’ll be able to start doing so in just a week or so. In the meantime, I wanted to reach out to our community with a question. It was a sense of overwhelm with my life, responsibilities and lack of any free time that served as a catalyst for the changes that we’re making in our marriage and family life. What am I (are we) willing to Give Up? In other words, what areas of your life are you willing to say “NO” to in order to focus on what fulfills you and fits with your ideals? I know this is a difficult question, but I’m sure it’s something we’ve all been faced with in our high-speed, over-committed lifestyles. In the comments below, please share one thing that you’ve given up or plan to give up to improve your life and marriage. For a bit more background on this question and my own struggles, please check out my post over at Simple Marriage today called Saying No to Build the Lifestyle You Desire. Also, in a very timely fashion, Leo at Zen Habits recently released his new book that deals with this issue in more depth. You can actually grab it for FREE over at his site. I hope to interview Leo soon for a post over at my couples fitness site. 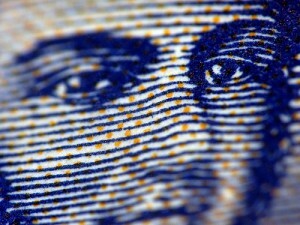 We’ve had a big focus on finances lately here at EM with our Married Money Management series. I think it’s a perfect time to let one of my favorite online folks, Sherri Kruger, remind us of those critical things that money can’t buy for our families. If you’ve been married for any length of time you already know first hand how the passion, communication and energy to work at your marriage comes and goes. Before long it’s your job, finances or kids that become the hot topics of conversation over dinner. Marriage requires work. Hard work, but beyond that there are things every marriage needs and they don’t require a single penny. And the best part? You already have a lot of these things at your disposal. Honesty. A relationship built on lies is destined to fail or at best it won’t be as good as it could be. Being honest with those we love is not always easy, but in the end it makes your relationship stronger and is always the right choice. Lying creates stress, anger and resentment which are all detrimental to your relationship. Fun and spontaneity. For the most part, most of our jobs are demanding, stressful and serious. A lot of time this spills over into our home life and we quickly lose the fun and spark. Have some fun and be spontaneous, start a dance party in the living room while you’re preparing dinner, flip through some old photos and reminisce, take a trip down memory lane and tell each other what made you fall in love with them in the first place. Room to grow and change. Every so often I hear someone say “he/she just isn’t the same person I fell in love with all those years ago.” Really? Over time people change and that’s usually a good thing. We tend to get married young when we’re not very mature and don’t yet fully understand who we are. Be open to your spouse changing and coming into their own. Encourage and support them on new hobbies, interests and positive lifestyle choices even if they aren’t what you choose to do. Affection. It’s easy when we get comfortable in a relationship to forget to focus on the physical aspect. We get caught up in our stuff that we can sometimes take our other half for granted. Hug, kiss, hold hands, give love taps, whatever you both feel comfortable with. Be sincere, playful and show affection often. It’s something so small but can be sweet, endearing and really strengthen your relationship. Appreciate. This is an expression of gratitude. When you show appreciation to a loved one, you are saying that they are a special and significant part of your life. A display of appreciation doesn’t have to come in the form of expensive gifts or extravagant holidays a simple and sincere thank you would suffice. Love. I don’t mean that warm fuzzy feeling that you had when you first met. I mean love the verb, the action requiring your involvement, your active participation. You cannot sit back and expect the world will serve it to you. You cannot expect that your relationship will continue to provide love while you’re not putting in any effort. Love has to be earned and must be continually fought for. Time. This is the most valuable resource we have. The easiest way to show someone they matter is to devote time to them – one on one. Take time to chat and catch up each day or at least several times throughout the week. Discuss what’s been going on in your life, in your job, with the kids, talk about what’s made you happy (and what hasn’t), and tell your significant other what you’re most grateful for. A little bit of quality time spent with each other will go a long way. Spend some time right now and think about how you’re going to make your marriage a priority today. You don’t have to do anything big or spectacular, most times it’s the little things that go a long, long way. What other things have you discovered your marriage needs that don’t cost a thing? Sherri is a work-at-home mom to two young boys and has been married to her high school sweetheart, Gwynn, for 13 years. Read more from Sherri at Serene Journey, where she shares simple tips to enjoy life, and at Zen Family Habits, where she talks about all things family. Married Money Management Step 6: Invest and Have Some Fun! At this point in your financial journey, you’ve already made a budget, taken a financial inventory and calculated your net worth, paid off all of your (damn) non-mortgage debts and saved a sizable emergency fund. I’d be willing to bet that this puts you in the top 5% of Americans with regards to our financial well-being. And now, it’s time to start enjoying the fruits of your labors a bit more while also kicking in your retirement investing. Once you’ve cleaned up your money messes and put away cash to weather rainy days, you’re financially ready to start having a bit of fun and saving for short-term needs. In most cases, families have taken years to get through the first five steps and reach this point of relative stability. It’s okay to breathe a little and reward yourself (within reason of course). If you’ve delayed a family vacation or a new piece of furniture, now is the time to make those purchases. Remember though, NO MORE DEBT, so these items need to be paid for with cash from your “extra” monthly income that is no longer going toward funding your emergency fund. Along with some immediate “needs,” this is also the point where you should establish some savings accounts for larger purchases that you know will be coming down the road. For most of us, this is primarily going to be saving for your next vehicle. No car payments, right? And you know you’ll need one, so don’t treat it like an emergency! If you don’t think it’s possible to buy a car without a payment, stay tuned for a future post on that topic. In the meantime, I invite you to watch this great video from Dave Ramsey’s team: Drive Free, Retire Rich! I recommend saving for these large items in separate accounts and doing it with an automatic monthly draft. If you set up an ING account like I recommended in Step 5, they make it super easy to add unlimited sub-accounts for just this purpose. I told you ING was cool! This is also the point in the plan where we really ramp up our investing to grow our net worth over the long haul. Unlike Dave Ramsey, I do not recommend that you completely stop investing during steps 1-5 IF you have a 401k that provides “free” matching funds. Instead, I would advise you to invest what it takes to take full advantage of any employer matching all the way through the process, as long as you have some extra income to still make it through the steps. I wouldn’t do anything over that until you get to Step 6, however, because you need to maintain all your focus on the step at hand. For most of us, the best place to invest will be in tax-advantaged retirement accounts. Why? Well, because they are tax-advantaged! Trust me, the ability to contribute pre-tax earnings into a 401k, 403b or Traditional IRA and/or withdraw tax-free earnings from a Roth IRA or Roth 401k will make a HUGE difference in your bottom line. I am not a financial professional and every individual’s circumstances are different, so I’m not going to be prescribing any specific investing advice. You will need to either get with a financial planner or do some research through reputable sites like Vanguard or Get Rich Slowly to develop your own plan based on your age, risk tolerance, goals, time frame and other personal factors. For most of us, investing 10-15% of our income is a very worthy goal that (again depending on your specific situation) should get us to a comfortable nest egg in our retirement years. Given that you probably have a vehicle to save for and perhaps other immediate needs, this may be a challenge. If you cannot invest the full 15% of your income right now, then invest all that you can this year and systematically increase it a bit each year until you get there. For example, if you can only save 8% this year, go ahead and do that. Then, as you get raises at work, commit to increasing this by 2% each year until you hit your target amount. Get started with your investing now, and you’ll learn over time that Mr. Einstein was really onto something! If you’re wondering where we are going from here, just stay tuned! After retirement investing, we’ll be tackling the plan for establishing college savings for your kids if you’ve got them. Then, we’ll move on to paying off our house…and beyond! So what Step in the Married Money Management series are you currently on in your own personal financial life? Married Money Management Step 8: Pay Off Your House! It’s Alive! Check Out the New Fit Marriage! I am really excited to let our Engaged Marriage community know that a project I’ve been working on for several months with Tony DiLorenzo has hit a milestone this week. Please take a few minutes to click over and check out Fit Marriage for yourself! Are you still here? Well, okay, let me tell you a bit about the site so you’ll be convinced to head over and become part of a new and very important community aimed at helping you improve your physical fitness as well as your relationship. Are you a busy married person who struggles to find time for quality fitness? Are you looking for real fitness solutions that allow you to workout and feel great about yourself without taking precious time away from your spouse and family? Are you ready to support your spouse in living a healthy, thriving lifestyle? If so, you’ll love what we’re doing at Fit Marriage! Fit Marriage is here to empower you with the knowledge, tools and motivation to get fit and improve your relationship in the process. We invite you to join our community as we work together to meet our fitness goals and achieve new levels of success in our health and well-being. What Makes Fit Marriage Different? There are literally thousands of sites and products out there related to fitness. However, Fit Marriage is different because it’s here for you. Our sole focus is on helping busy couples achieve their goals together. Our workouts are designed to get you killer results without wasting any of your precious time. Our nutrition plans are created to work with your crazy schedule and not in spite of it. Our approach to training does not require you to be a gym rat or to plan your life around your workouts. In fact, if you follow our plans, you’ll stay out of the gym and spend less than 30 minutes per day exercising! Fit Marriage is committed to getting you awesome results using a proven system that enhances your family life instead of competing with it! 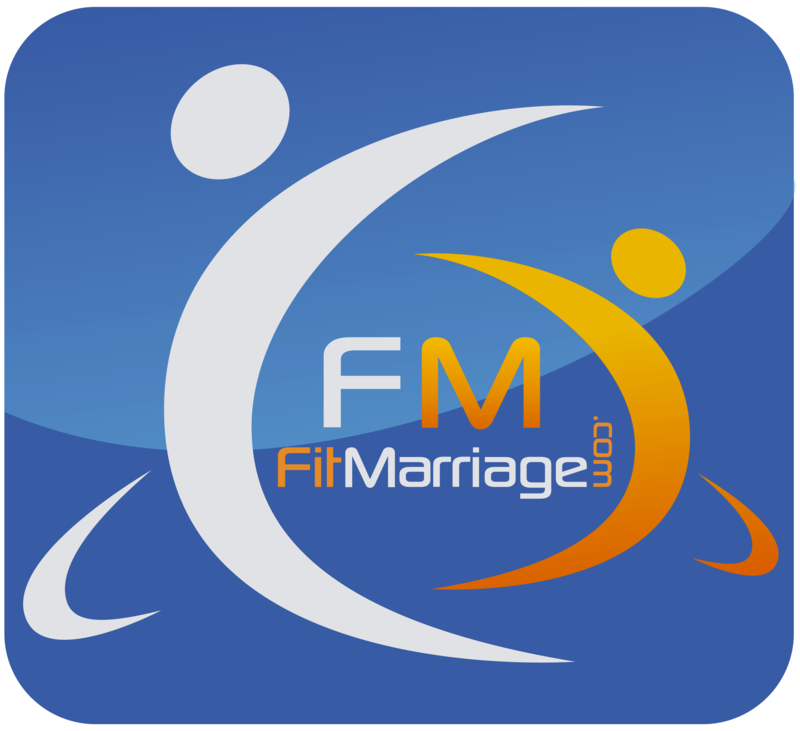 In short, Fit Marriage wants to become the trusted source for real fitness solutions for real busy couples. Let us know your thoughts either below or on any of the posts over at Fit Marriage. Thanks for your support! What stands between you and major financial trouble? Hopefully, it’s not just a credit card, a HELOC or some other form of debt that you killed in Step 4. And if you have any significant issues, that starter emergency fund we set up back in Step 3 is not going to go very far. Now that you’ve taken care of the symptoms of your past financial troubles by paying off all non-mortgage debts, it’s time to prepare for those inevitable rocky times that lay ahead. After you complete Step 5, you’ll be ready to face those costly home repairs, unexpected medical bills and periods of unemployment. You won’t like it when an emergency strikes, but you’ll be prepared and ready to cover the financial impacts without resorting to debt. Let’s build our full emergency fund! As a general rule, most families should have approximately 3-6 months worth of expenses in an emergency fund. It’s important to understand that this not 3-6 months of income, and it’s not inclusive of all the money you spend in a typical, non-emergency month. To calculate an appropriate amount, go through that budget we put together in Step 1 and decide on a line-by-line basis whether each expense is something that you’d need to cover if you were faced with unemployment. 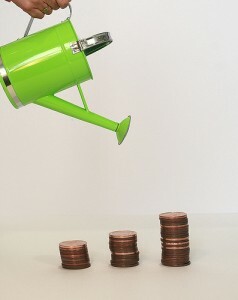 Once you have that monthly “bare-bones budget” amount, multiply it by a factor of 3-6 and you have your goal. The 3-6 month time-frame will allow most people to regain gainful employment if they are faced with a job loss. While unemployment isn’t the only potential emergency out there, it’s certainly a relevant threat for most people and this amount of savings will also cover most reasonable “expense” emergencies that you may face. So, should you save 3 months, 6 months or something in between? Well, your personal amount should be based on your exposure to risk as well as your risk tolerance. If you have two stable jobs and a fairly “calm” life with little volatility in your expenses, then 3 months is probably sufficient as long as that amount makes you comfortable. On the other hand, if you are a one-income family with lots of little kids around and you feel like trouble is always lurking, you should shoot for 6 months of expenses. At the end of the day, it’s a judgment call. Where Should We Save It? While our starter emergency fund was kept close to home at a local bank for super-fast access, our full emergency fund needs to work a little harder for us. In most cases, we’re talking about many thousands of dollars (often tens of thousands), and there is decent money to be made through interest earnings. Just to be clear, you should not be investing this money and putting it in any real risk. Your emergency fund is effectively an insurance policy you’re keeping between yourself and financial ruin. We’ll get into investing in Step 6, but we will not be using our emergency fund for those efforts. That said, there are options out there that pay better rates than your local bank, offer reasonably fast access to your money and keep it safe. My personal favorite is an ING Direct Savings Account. ING is a great company who pays strong, market interest rates on your money while keeping it FDIC insured and very accessible. If you decide to open an ING account, please be sure to send me your first name and email address using the Contact form. When you do, I’ll send you a link that you can use to open a new account and get an instant $25 bonus for free! And I’ll get $10 for referring you, so it’s a great deal for everyone! When Should We Use It & What Happens If We Do? Once you have a nice emergency fund stashed away, you may wonder just when you are supposed to take money out of it. Well, you don’t want to tap into your emergency money unless you have an actual emergency that you couldn’t foresee. For example, regular home maintenance should be part of your budget and not something you need to take from your emergency fund to pay for. And you know your car insurance is due each year, so that’s not a good use of these funds. On the other hand, you can’t plan for a broken leg or a job loss, so when you have a true emergency, tap into your account and feel good that you are prepared. Once you get your full emergency fund in place, you’ll be moving onto investing, paying off your mortgage and meeting some other financial goals. If (or when) you do encounter trouble and you have to take money from your account, you’ll need to pause these other goals temporarily and redirect your “extra” money each month back into building your emergency fund until it’s back to your comfortable level. Without question, this full emergency fund requires a lot of money to complete, but if you keep the same intensity that took you through paying off your debts and redirect that “debt snowball” money each month to your savings, you can absolutely do this. Once we completed this step, we felt a true sense of financial peace in our family. We’ve needed it several times and, although spending lots of unexpected money is never fun, it’s great to know that you are financially ready to face most of the nasty stuff that life will throw your way! Bring peace to your marriage by building your own full emergency fund. This guest post by Shane Ketterman is a lot of fun, and I think you’ll take away some great ways to use technology to enhance the romance in your marriage! Warning: This post will help you create amazing memories with your spouse and bring you closer. It also assumes you have a Mac and an iPad. Technology has pretty much infiltrated our daily lives. We use it at work. We use it for entertainment. We also use it for education. There are some really great ways it has brought people together, but it also has another side: It can drive a wedge between couples. Technology has certainly evolved over the past few years. We have smart phones, social networking, and innovations like the iPad. All of these great things could also be considered distractions. I can’t count how many times I hear couples say, “I wish we could go back to when things were more simple.” And they say this because they have been slightly driven apart by all the distractions of technology. But here is a way to turn that around. Here is a way to get closer using technology. Here is a way you can take the latest and greatest mobile device (the iPad) and share something extremely special with you spouse. OK, so not all technology will be left behind, but there’s a good reason. First, resist the temptation to use the Internet on your iPad. I know, it can be tough, but turn off WiFi and 3G (if you have it). Now, use your digital camera. Take photos of everything you do and see together. Even if it seems like it’s a boring picture, it’s the memories that count, not the fact that you might not be Ansel Adams. So shoot away! I have even done this and created a game out of it; to see who could take the most mundane or craziest photos. Now, before you end the getaway, use the Camera Connection Kit and transfer those photos to your iPad. But do this together. Simply plug one end of the Connection kit into the dock connector on your iPad (on the bottom) and the other end right into your digital camera. If you use an SD memory card, you can also plug that in as well. When you turn your camera on, the iPad will see it and begin pulling the photos over. Take some time to go through them together. Watch the slideshow which automatically loads and begins playing. While you watch the photos, think about the ones that really stand out because the next thing you will do is simply amazing. Have you ever sat down and looked at a photo album and drifted away in memories? Perhaps you got out your Wedding album and relived that awesome day. Either way, it was nice to have something you can sit and look at which stirs emotion. Guess what? That weekend getaway you just had with your spouse is about to become your very own book! A little known feature of Apple’s iPhoto (which is installed on every Mac) is the ability to have a hard-bound book created and sent to you using your own design and photos. It’s not only a memory, it’s an amazing keepsake and something you can look at with your spouse time and time again. Now, once you get home take out that iPad and sync it to your Mac. They will all go right into iPhoto and be stored as an “Event”. You can name this “Event” something memorable like “Weekend Together”. Next, head over here to the Apple iPhone tutorials and scroll to the bottom of the page where it says “how to create photo keepsakes.” The video will literally walk you through the entire process. It’s easy. It’s fun. And it’s something that will really bring you closer. I think you will be amazed at the quality and personalization you can add to your very own book. This is quality time together using technology. More ideas? Surprise your spouse with the book. Have it sent to his/her work. Create one from past photos. Create a special place in your home for the books and look at them from time to time. So there you go. While technology has the ability to be a distraction, you can now use it to create closeness. Try it out. You will be amazed when the book arrives in the mail how truly powerful it is to re-create that special weekend – again and again. Have you ever tried this idea? Do you have other great romantic ideas to make technology work FOR your marriage? Shane Ketterman is the Editor of the popular TCGeeks iPad blog. 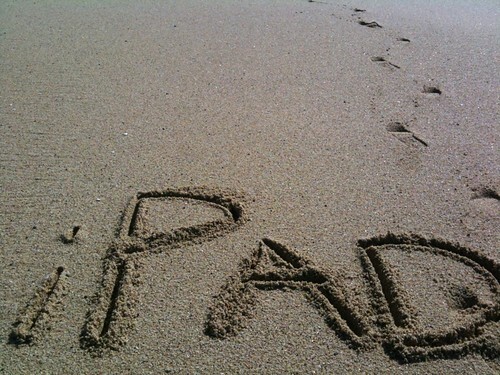 It’s a place to learn how to get the most out of your iPad for business, school, or just daily use. You can also find him on Twitter @tc_geeks.